The Temple Beth El Israel Adult Education Committee is proud to announce the following outstanding programs. Please mark your calendars and plan to attend. Adult Education programs offered through the Temple are scheduled on Wednesdays from 10:00 a.m. to 11:00 a.m. in the Temple Sanctuary. Unless otherwise noted, TBEI Adult Education programs are free of charge for Temple members. Donations are always appreciated to help support year-long Adult Education programming. May 22 – Please refer to the flyer below for additional information. Keep watching for Adult Education updates. Dr. Giltman (Larry) was raised in Brooklyn, New York (where he still believes to be the place from where all civilization emerged). Larry received his undergraduate degree in Philosophy, with specific emphasis on comparative religion and ethics, from Long Island University. He received his medical degree from The University of Bologna, Bologna, Italy. Larry has been a practicing physician for the past 40 years spending the last 20 years teaching Pathology and Pathophysiology at Emory University School of Medicine in Atlanta, Georgia. 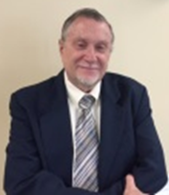 In conjunction with his wife Flo (married 47 years), Larry has been actively participating in adult education activities at Temple Beth El Israel since retiring to Port Saint Lucie in 2013. In addition to being a passionate tournament bridge player, Larry is a fiercely loyal and long-suffering New York Mets fan. The Adult Education Committee is dedicated to providing year-round programming for Temple members and community guests. Take advantage of these informative and educational opportunities. For additional information, please contact Flo Giltman at (772) 345-9150.